“The popular co-working and office space provider WeWork today unveiled Made by We, a public retail concept that includes a full cafe from New York-based and self-described “Australian-inspired” coffee chain Bluestone Lane. Located at 902 Broadway in the heart of Manhattan’s Flatiron district, the Bluestone Lane bar stands at the center of the new concept from WeWork umbrella company The We Company, which signaled an intention to open more retail locations in the future. 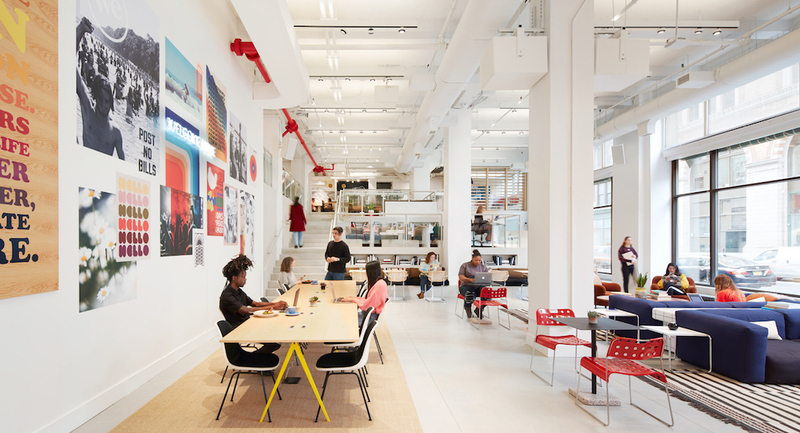 While the Made by We location includes 100 bookable individual workspaces and meeting spaces for groups, it varies from other WeWork locations in that a subscription or booking is not required to enter.